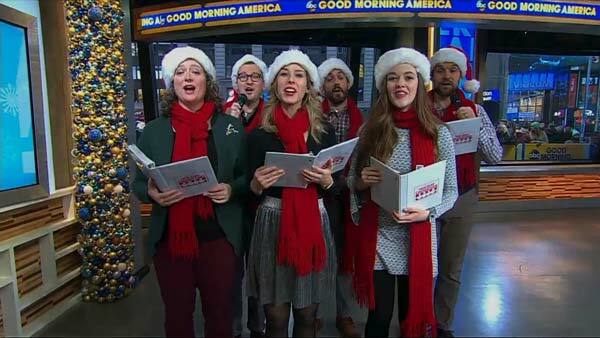 The most flexible & musical Christmas carolers in New York City. Check Availability Get an instant price quote, no email required. 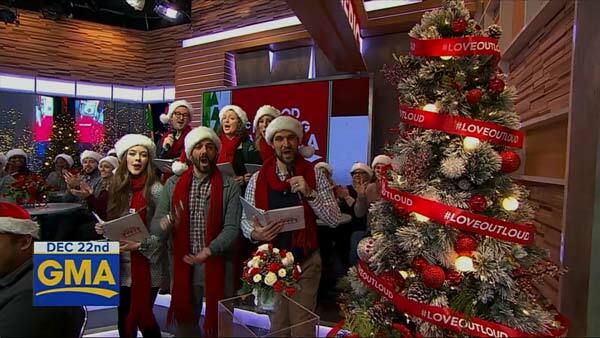 Featured On Good Morning America, December 22, 2017! 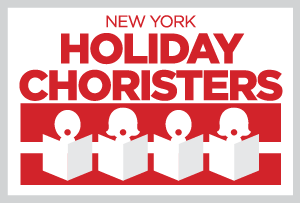 The New York Holiday Choristers are New York City's most popular contemporary Christmas carolers, combining modern styles and traditional favorites all in one group! The New York Holiday Choristers are the only Christmas caroling group specifically built to make booking highly rehearsed holiday party entertainment as hassle-free as possible, from our innovative, custom online booking & event management system to our truly fresh versions of cherished standards & contemporary music in our massive songbook, and our prompt, personal customer management. Book as few as 4 singers, all the way up to our full group as a powerful, beautiful choir, with no-nonsense per-singer pricing, an online, instant price quote tool, and the deepest, most varied music selection in the business. It's like fa-la-la-la-la 2.0. Not only were the voices amazing, the song choices perfect for the environment, but the planning and post-concert tasks (payment) were super easy. Dealing with Greg was a pleasure. Very organized & efficient and exceptionally accommodating. Classic & contemporary versions of your favorites, in a single group. 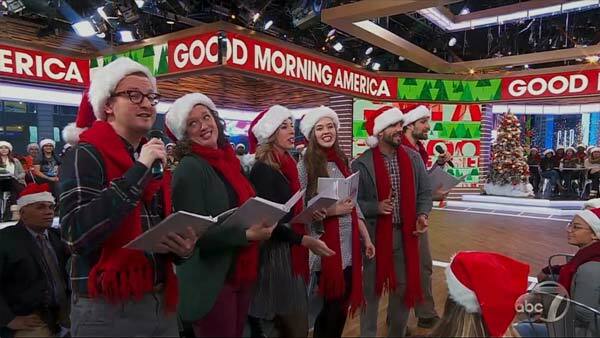 We love Christmas carols and holiday music so much, we had a hard time choosing between being a “traditional, classic” group versus a “contemporary” ensemble… so we didn't! 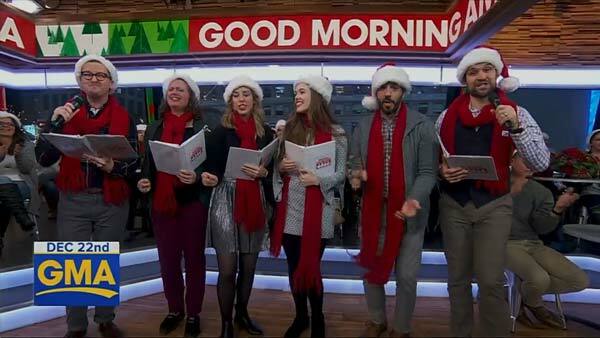 The New York Holiday Choristers are the only professional caroling ensemble in New York City featuring both classic and true vocal jazz/contemporary styling — and all in-between. Our contemporary arrangements are hip, jazz-influenced, and reminiscent of modern acappella (without beatboxing, of course), while our standard arrangements combine the classical arrangements you know and love with a fresh harmonic twist. By providing both styles, we bring unrivaled flexibility to your event, perfect for when you're looking to add something a little cooler than regular, simple carolers. Why force yourself to choose? And while some of our contemporary songs wander off into 3/4 jazz-swing and twisting time signatures, and our ballads stack luscious harmonies, and our standard carols treat the originals with respect while simultaneously changing them up, we always have our fingers on the pulse of your event to make sure we fill our role. It's simply, flat-out the best music in the industry, expertly crafted, finely rehearsed, and perfomed with excitement. Get an instant quote online… no email required! Everyone admired your talent, the fabulous arrangements, and the friendly & happy way you interacted with everyone… From start to finish a wonderful experience & astonishingly hassle-free. Thank you!! While our look can be casual or formal, our commitment to being the best holiday entertainment in the city is set in stone. We bring the same production values to everything we do. 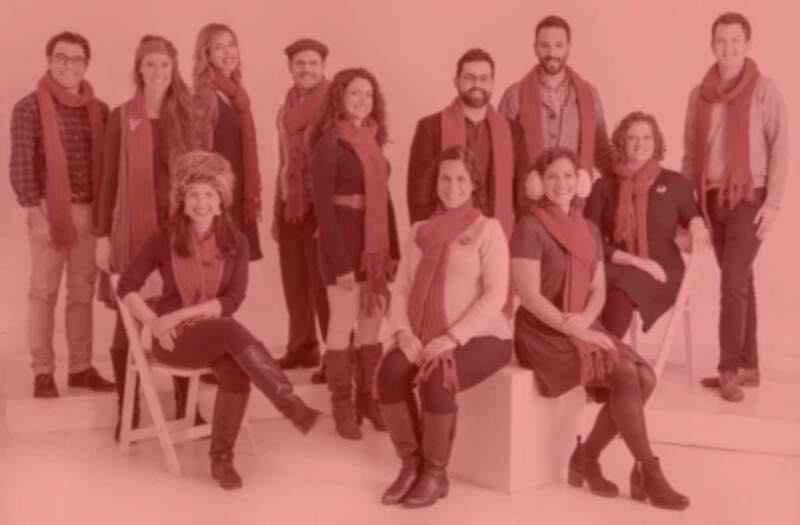 Our matching, hand-knit red scarves look both sharp and festive, and we can cater our attire to your event. We programmed an industry-first online booking & event management system to take the guesswork out of getting a quote and checking availability. If you like what you see, one button will let you reserve our Choristers — so you can get back to planning your event. All of our Choristers & management love the holiday season, and we love creating memories for our clients and their guests even more. That's why the New York Holiday Choristers charm and delight our customers and their event's guests, wherever we raise our voices in song. We create memories. 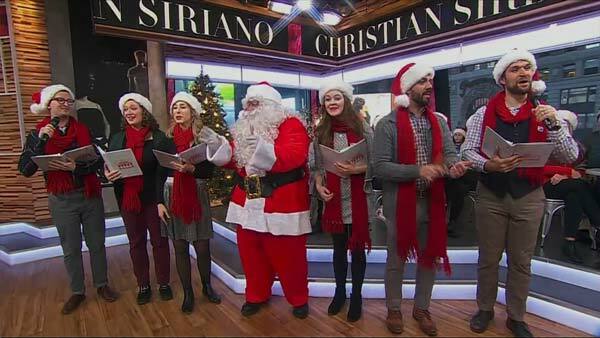 With over twenty years' private event experience, the team behind the New York Holiday Choristers also has been bringing holiday acappella to New York City since 2009, been profiled on CBS Sunday Morning, appearing on Fox 5 WNYW's Friday Night Live, The Rachael Ray Show, WFUV's Cityscape, WQXR's The Arts File, Fox News, and many more. Our company is fully-insured, and we know how to make every performance extraordinary. 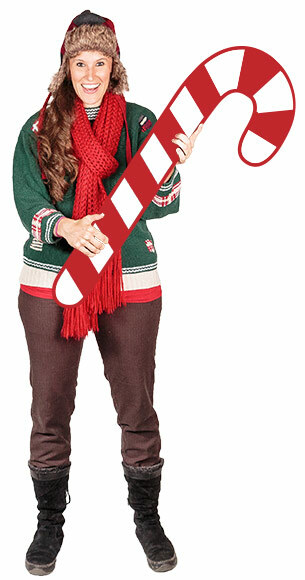 Most of our songs are our own versions of classic Christmas carols & holiday favorites set in rich 4-part harmonies. Our musically-gratifying book is more like what you hear from professional acappella ensembles than simple carols, and our Choristers rehearse for months to master our book. It's a sound that's truly "New York"… No other company comes close! With the Choristers, you don't have to choose between traditional & modern carols -- our single ensemble masters both! And as we say, our music's best-in-class. Don't take our word for it: our music's been featured & played on WFUV, WQXR, and more, and performed by other choirs and ensembles nationwide! An html5-capable browser is required to play this audio. Our contemporary, vocal jazz "Carol of the Bells" features a cool jazz swing feel. An html5-capable browser is required to play this audio. We keep the traditional feel of "Deck the Halls" but with our own interesting harmonic twists! An html5-capable browser is required to play this audio. Based on Celtic Woman's stunning version, we adapted it into mixed harmony for a beautiful result. An html5-capable browser is required to play this audio. Fantastic harmonic twists in and out of clusters feature in our take on this traditional favorite. An html5-capable browser is required to play this audio. 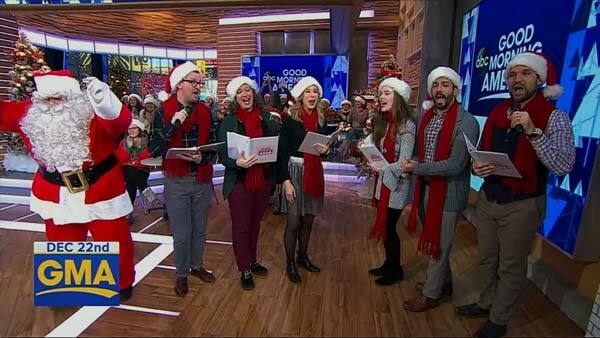 "Jingle Bells" gets a high-energy swing treatment in one of our most fun songs! An html5-capable browser is required to play this audio. Easy-breezy swing plus fun chords and a bass solo make our version of "Let It Snow" fresh and new. An html5-capable browser is required to play this audio. Sung in a high-energy jazz waltz, our take on "My Favorite Things" gets feet tapping! An html5-capable browser is required to play this audio. While not strictly a holiday song, "Pure Imagination" perfectly captures the spirit of the holidays. © 2019 New York Holiday Singers, Inc.